Produced and distributed by Montegrappa as an official licensee, the UEFA Champions League regular pens collection kicks-off in 2016. 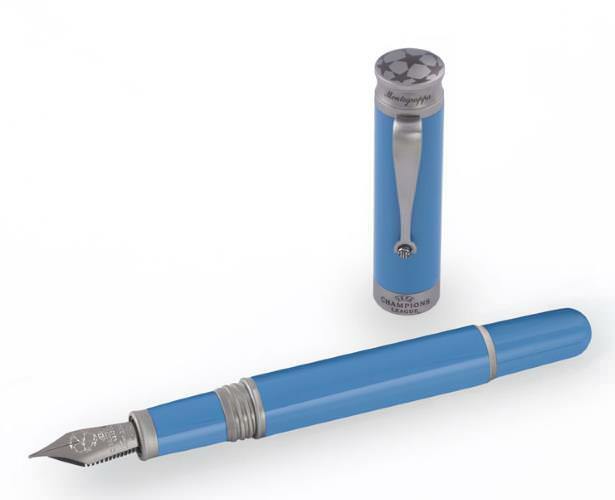 Montegrappa’s designers embraced the spirit of the most popular team sport in the world to fashion pens that will sit proudly in any football fan’s pocket. 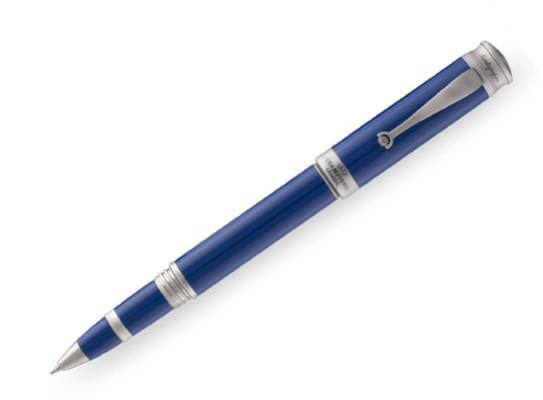 Offered in three basic hues of resin - dark blue, light blue and grey, the same as the UEFA Champions Leagues’s brand colours - these writing instruments are available in the modes: fountain, roller and ballpoint pens, as well as a mechanical pencil. The sleek trim in brushed stainless steel enhances further the contrast details of the UEFA Champions League’s most famous starball logo on the cap top, and the signature clip culminates surprisingly with a miniature die-cast soccer ball. 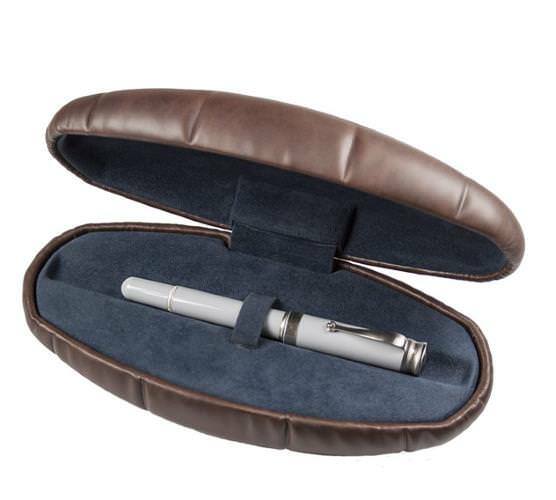 Packaging of this exclusive pens range is just as inspiring as the pens themselves. Designed to resemble a vintage leather football, it makes the perfect trophy on everyone’s writing table.